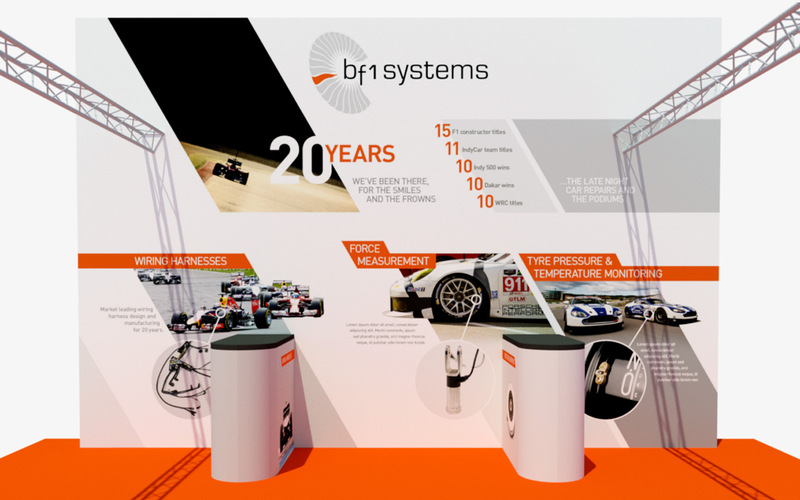 bf1systems provide electrical, electronic & composite solutions to the Motorsport, Automotive and Aerospace industries. 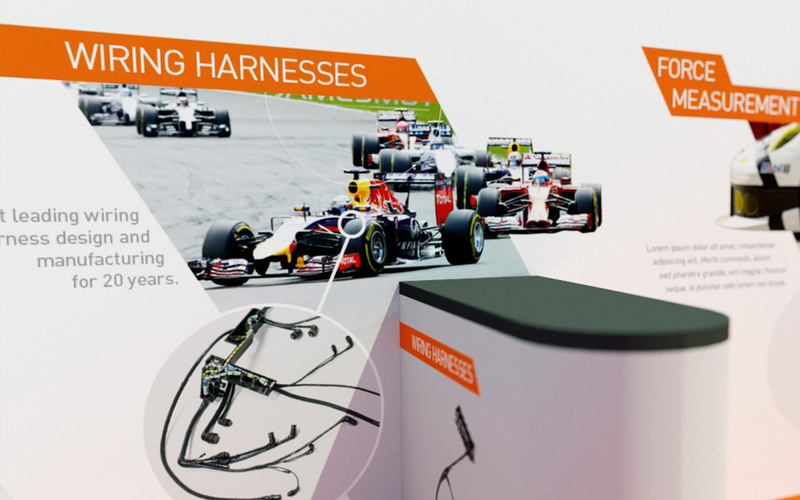 Providing components to a wide range of sports including F1™, Indycar, NASCAR and World Rally. 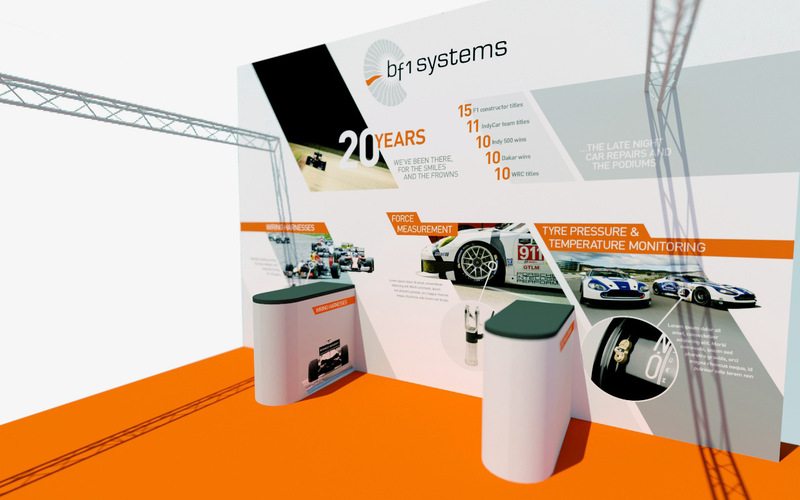 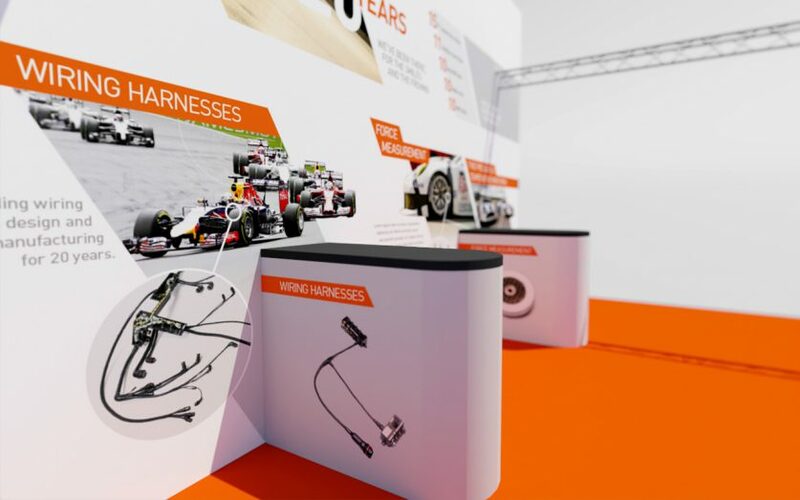 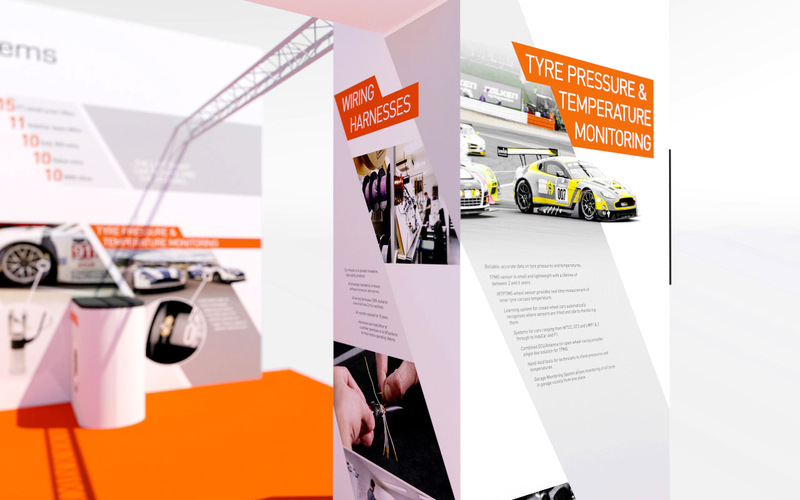 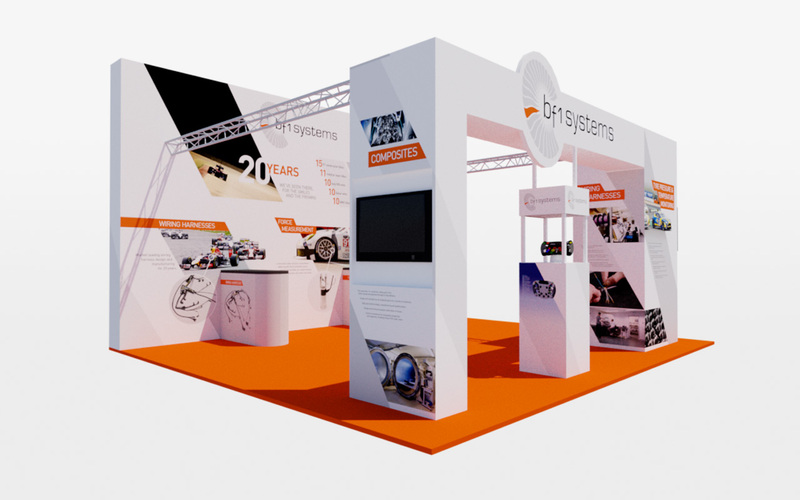 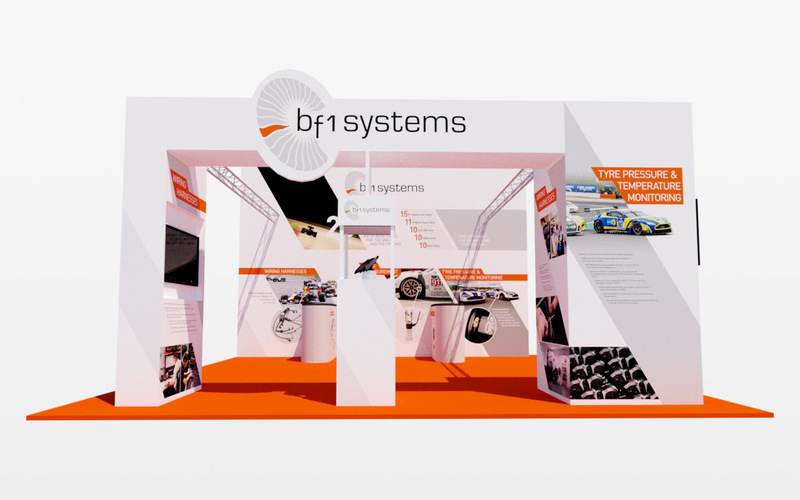 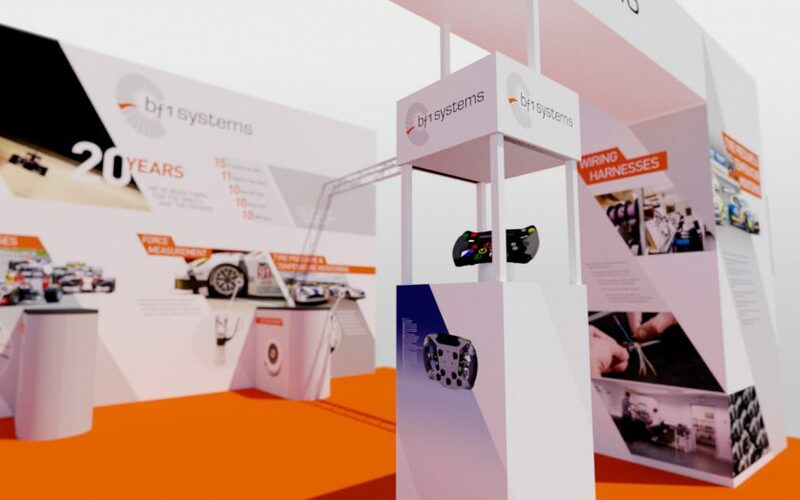 We worked with bf1systems to design new exhibition stand graphics for their stand at the Professional Motorsport World Expo in Germany. 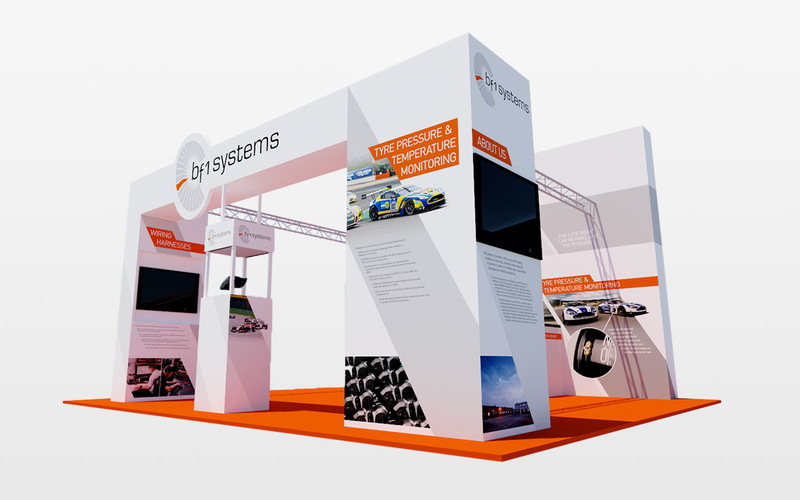 The stand features a new visual style developed for the exhibition with supporting graphics marking their 20 year anniversary.